Am I one of those people who has been listening to Christmas music for weeks now, has already scoped out Santa in the mall and has been using my Christmas mug like its the best thing ever? Yes! I can't help it, I love the season of Christmas. For so many reasons. It's just such a sweet and joyful time of year. The focus is always on the Joy that Jesus brings us and I can't help but love that. I can listen to Andrew Peterson's Behold the Lamb of God 10,000 times in a row. What a special time, so why not extend it for as long as you can? I know there are some Thanksgiving lovers out there, and don't get me wrong I love a good Thanksgiving too. I just love this whole season. So with all that being shared, lets make a little Christmas project. Its simple and easy and barely cost anything! When it comes to Christmas decor I love everything - but I do lean towards certain things more and rustic and homemade decor is just my favorite. These stars meet both those criteria. This is really the simplest project in the world. 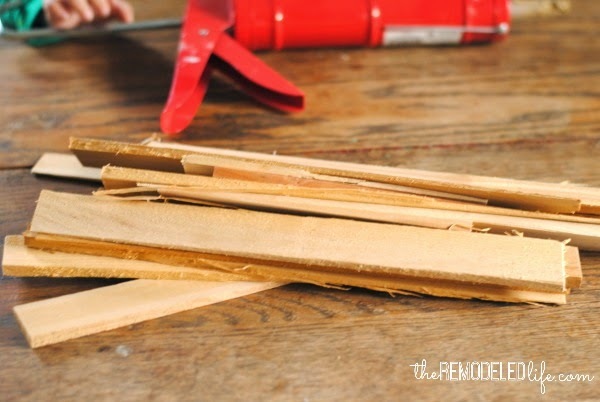 The hardest part for me was finding the wood shims. They seem to migrate around the hardware store so I always have to ask where they are. Usually they are on some random end cap. I always have a sweet helper with these projects, I ended up making 3 stars, he was good for one and then had to go race cars. Priorities. 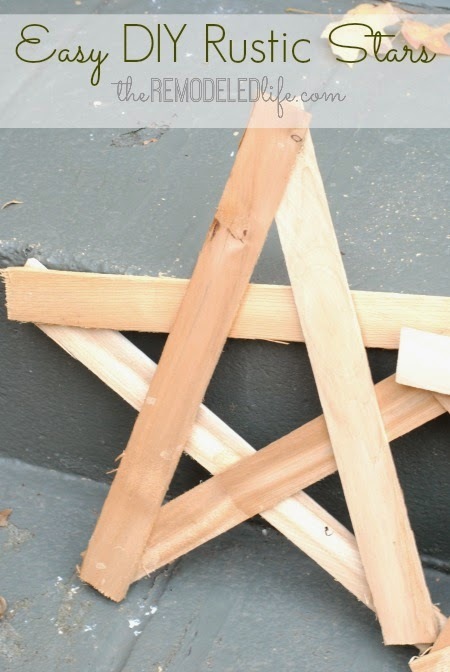 So really all you need to do is use your liquid nails to attach the wood shims together into a star shape. I did lay out my shape first so I would have a good idea of where I was going and then went from there. 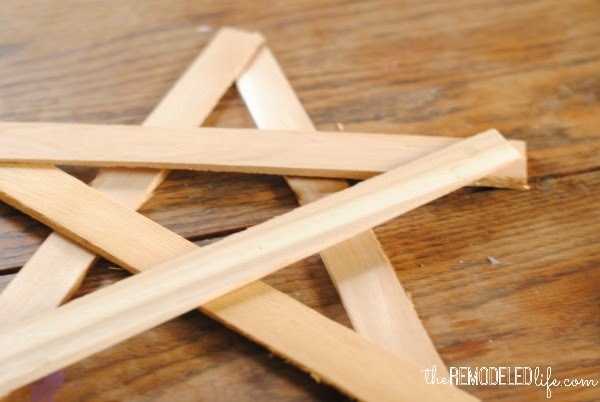 You will need to glue the ends and also the cross points. Liquid nails is really forgiving to use if you have never used it before. 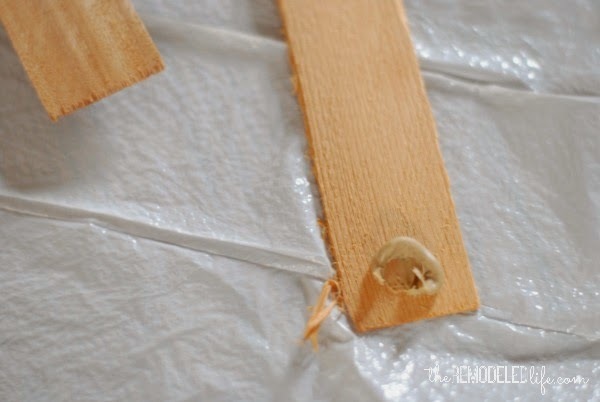 You have a good 10 minutes before it really starts drying so you can move and adjust as you need to. 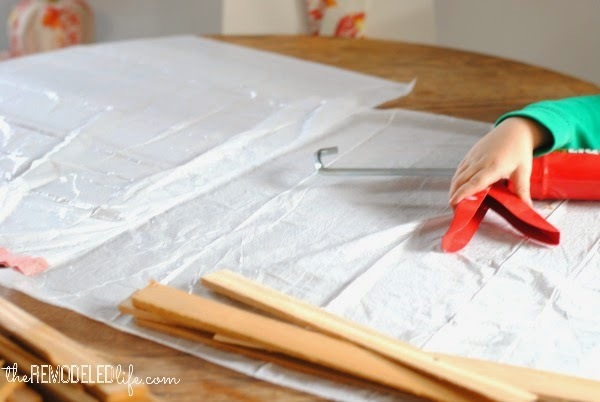 Let them dry overnight and you're done! These stars really can go anywhere, outdoors, indoors, tree toppers, hanging, I could go on. Also you could paint them, stain them, decorate them. In the end I think I'm leaving mine just the way they are, I just love the kind of rustic feel it has. I can't wait to get working on more little Christmas projects...and maybe even some last minute Thanksgiving ones too. Thanks for stopping by today! I am right there with you! I've been listening to some of my favorite Christmas songs and DIYing some Christmas projects. This is by far my favorite time of the year! I am all for starting full on Christmas on nov 1!!! Love your blog!